A Starfinder Society Scenario designed for levels 5-8. Zigvigix, leader of the Exo-Guardians discovers something is wrong with his colleague and fellow faction leader, Historia-7. 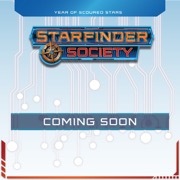 Travelling with Zigvigix into the Archives' Cortex at the heart of the Starfinder Society's home, the PCs come face to face with the unexpected truth behind what's happened to Historia-7. Enacting a desperate plan to assist Historia-7, the PCs soon find themselves racing to save both Zigvigix and Historia-7 from a threat that aims to topple the entire Starfinder Society. Content in The Many Minds of Historia also contributes to the ongoing goals of the Dataphiles and Exo-Guardians factions. 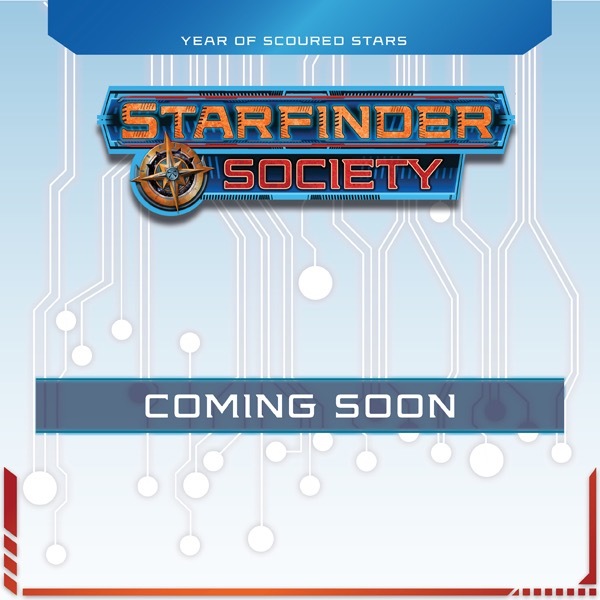 It also builds on events in Starfinder Society #1-99: The Scoured Stars Invasion, though playing that scenario is not necessary for this product. This sounds like a really good one--the relationship between Zigvigix and Historia-7 is one of my favourite subplots. Can't believe # 1-38 has already been announced. I keep playing regularly, but somehow keep falling further behind! Nothing bad must happen to precious cinnamon roll that is Zigvigix!